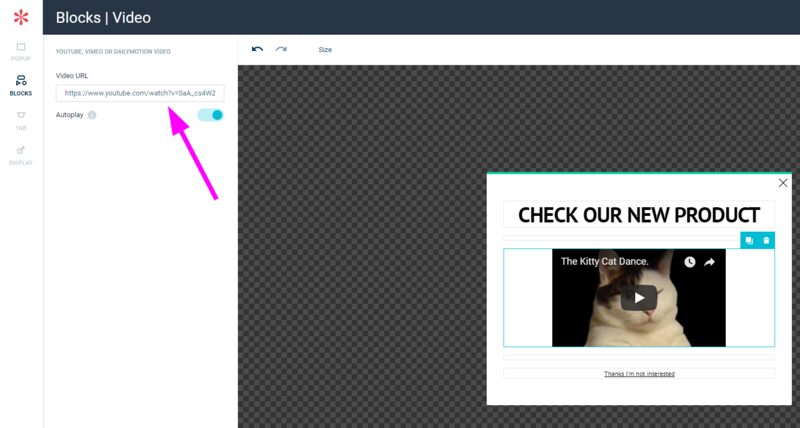 You can embed Videos that are listed on YouTube, Vimeo, or DailyMotion. Open your WisePop in the editor. 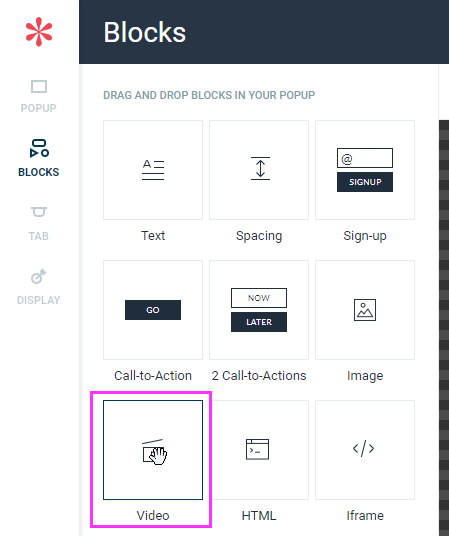 In the "BLOCKS" section, drag the "Video" block and drop it on your popup. IMPORTANT: don't use the share link or embed link, copy paste the page's URL where your video is. You can then choose to activate "Autoplay". If it is activated, the video will start playing automatically on desktops with the sound off. Using another video platform? Contact us, we'll be happy to add it.